Seahawk fans have every right to be proud of the women’s basketball season, but more work lies ahead. 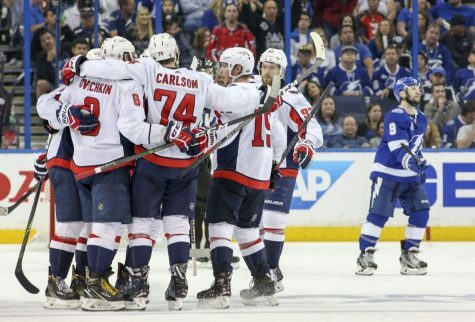 It was a historic season that captured the attention of fans in and beyond Wilmington. There was the near-perfect home record, a jump in attendance and even a National Player of the Week. 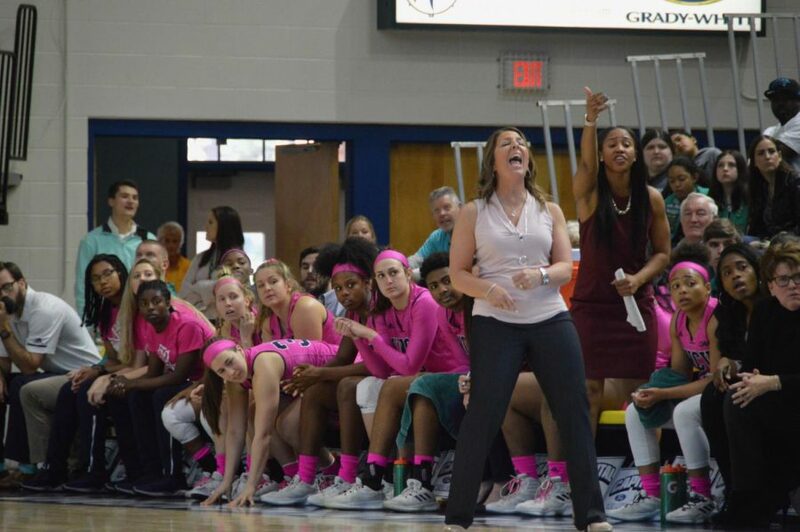 Despite all that, it’s still difficult to shake the feeling that the 2018-19 UNC Wilmington women’s basketball season ended far too soon. The Seahawks (18-12, 11-7 CAA) finished the season as the third seed in the Colonial Athletic Association conference tournament, their first time finishing that high in the conference since 2011. In the second year of the Karen Barefoot era, the program has made positive strides forward. UNCW went 13-1 inside Trask Coliseum, the most home victories in a single season since the university moved up to NCAA Division I in 1984. The program enjoyed its first winning season since 2011-12 under Cynthia Cooper-Dyke. Redshirt senior guard Shrita Parker, the Seahawks’ second-leading scorer this season with 15 points per game, became the first National Player of the Week in program history in January. Barefoot also missed out on CAA Coach-of-the-Year to Towson’s Diane Richardson. Compare and contrast that even to Barefoot’s first season in the Port City. The Seahawks lost their first ten conference games en route to a 4-14 conference record and 12-19 overall record, good enough for eighth in the conference. They won their first-round game against Towson before losing to Drexel in the second round. 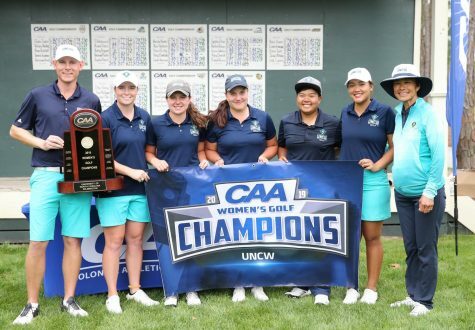 With all these accolades and marks of improvements, third-seeded UNCW went into this month’s conference tournament in Delaware with high hopes for its first conference title in program history. However, the Seahawks sputtered against sixth-seeded Northeastern, trailing virtually the entire game before falling 75-64 to the Huskies. As a result, they just barely missed out on a postseason berth. The Seahawks made something of a reputation for themselves of being “comeback queens” in 2018-19. 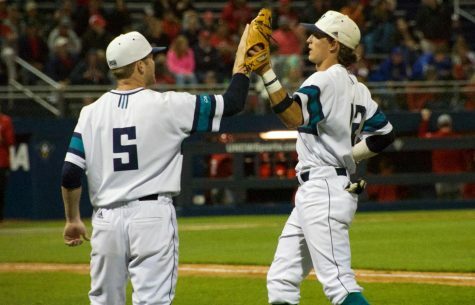 UNCW overcame a deficit in nine of its 11 conference victories this season, most notably a 16-point deficit at now-former two-time defending conference champs Elon in January. 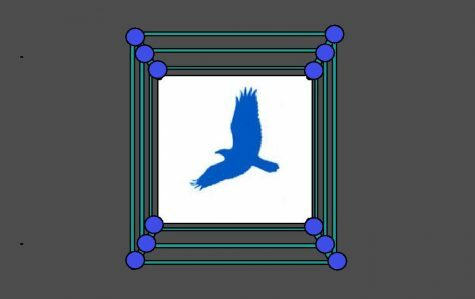 Individually, the team received big efforts from both new and experienced faces alike. Transfers Parker and GiGi Smith (14.9 points) both led the team in scoring, with junior guard Lacey Suggs rounding out the double-figure scoring averages with 10.3 points. All three garnered All-CAA selections, with Parker and Smith being named to the Second Team and Suggs being named to the third team. It was the first time in program history that three players have been named all-league selections. Additionally, senior Chinyere Bell (7.9 rebounds, 5.3 points) made the starting center position her own in the second half of the season, and JuCo transfer guard Ahyiona Vason (6.1 points, 1.2 steals) was an extremely important spark off the bench. Most notably, attendance sharply increased and the team finally got more of the respect it rightfully deserves on campus. Having a nearly-undefeated home record certainly did its job, but the teal-collar mentality of the players and infectiously upbeat personality of the coach also surely contributed to the uptick in attention. 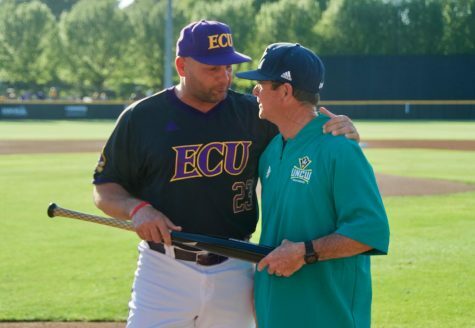 Now that some time has passed since the loss in the CAA tournament, the Seahawks can look ahead to next season with renewed optimism. UNCW currently has two recruits signed up for 2019-20 with forwards Sunshine McCrae and Nya Mitchels having both signed National Letters of Intent back in November. Both players add an even bigger post presence for a team set to lose Bell after her graduation in the fall. Although Parker is graduating, the Seahawks will return Bell, Smith, Suggs, Vason, Timber Tate. That is a solid core for a team poised to continue its ascent in the CAA. To say that a season-ending loss to Northeastern undoes all of the great work Barefoot and her team have done this season is beyond foolish. No, they may not go nearly perfect at home next season. But they still will continue to improve. And I believe the Seahawks have the potential to go all the way and capture that elusive CAA title in 2019-20. Staff Writer Lanre Badmus can be found on Twitter @LanreBadmusSH. Any tips or suggestions should be forwarded via email to bms8544@uncw.edu.